Leonard M. Freeman, MD, is an Attending Radiologist in the Division of Nuclear Medicine at Montefiore, as well as Professor of Radiology at our Albert Einstein College of Medicine. Dr. Freeman joined Montefiore in 1968. 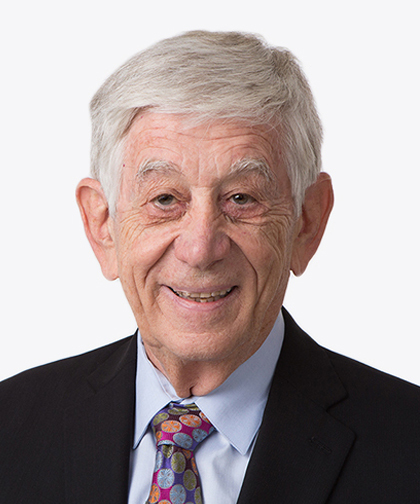 Dr. Freeman earned his Doctor of Medicine in 1961 at Chicago Medical School. He completed a rotating internship at Beth Israel Hospital in 1962, followed by a radiology residency at Jacobi Medical Center in 1965. Since that time, Dr. Freeman has developed an enviable career, actively contributing to local and national organizations, serving dozens of consultantships and visiting professorships. Among his many offices and positions held in national organizations, Dr. Freeman has served as President of the Society of Nuclear Medicine and Chairman of its General Clinical Nuclear Medicine Council. Dr. Freeman has published over 200 journal articles and scientific exhibits, provided many media interviews on national television over the years, and has won numerous honors and awards, including the distinguished Educator Award of the Society of Nuclear Medicine in 1993, Lifetime Achievement Award, General Clinical Nuclear Medicine Council in 2016 and the Clinical Best Mentor Award, American College of Nuclear Medicine in 2017. He also has been awarded the 2019 Gold Medal from the American College of Nuclear Medicine. He is an honorary life member of several medical associations. Dr. Freeman is board certified by the American Board of Radiology (both in Radiology and Nuclear Radiology) and the American Board of Nuclear Medicine.